A performer's public persona can sometimes be quite different from reality. AAJ's youngest contributor, Mikayla Gilbreath, needn't have worried about meeting renowned jazz organist Papa John DeFrancesco. The only surprises were pleasant ones. 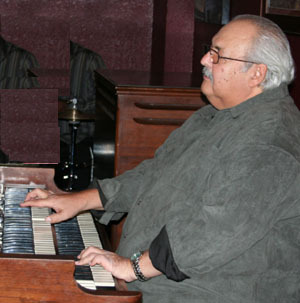 For the second installment of her Mikayla's Totally Jazzed column, which brings a youthful perspective to all things jazz, Mikayla spoke with the father of another renowned organist, Joey DeFrancesco, about his lengthy career, and rubbing shoulders with jazz legends including Jack McDuff, Jimmy Smith, Jimmy McGriff and George Benson. Check out Papa John DeFrancesco: It's All In The Name! at AAJ today!